But that’s the thing about Ebert: He was so prolific, so observant and wise, so widely read and well respected — so utterly the gold standard of all critics — that probably every writer in the genre of criticism saw him as the model to aspire to. After learning yesterday of his death at age 70 after a long battle with cancer and in since reading numerous obituaries, tributes, and comments from those he worked with or influenced, you realize just how widely and uniformly respected the man was by so many of his peers, colleagues, and readers. And yet despite his status and the fame it brought him, you would never for one second, think of him in those terms when you read him. He never spoke down to his readers, but he never dumbed anything down either; his writing style was intelligent but accessible — for the gamut of people who were novices, students, or experts on film. It is a balance some critics either cannot or willfully refuse to find. So here is just this one reader’s account, since it’s the only unique one I can offer. It’s hard for me to pinpoint when I first started reading Ebert, because it seems now like I’ve always been reading him. It was probably in the late 1980s or early ’90s, while in my early to mid-teens. My dad had a copy of Roger Ebert’s Movie Home Companion 1987 Edition that I found on the bookshelf. I started reading reviews of movies I’d seen and found the whole idea of reviewing a movie on its merits fascinating. I later bought more editions of Ebert’s books of movie reviews. I suppose a seed had been planted. From there, my interest in journalism in general and movie reviews in particular continued to build steam, through high school and college. I joined the high school newspaper staff my senior year. That was great fun and some great memories. I knew I had found something I would be doing for a while. During my first week on campus my freshman year at the University of Illinois at Urbana-Champaign — on Quad Day, the annual first-week marketing blitz for campus organizations — I picked up a flyer for the Daily Illini, where I would end up working for the next four years. Ebert was the most famous of all Daily Illini alumni (with perhaps Hugh Hefner ranking second); he was editor-in-chief of the independent student newspaper in his college days. The orange recruiting flyer said: “Roger Ebert did it. So can you.” I’m about 99 percent sure I still have that flyer in a box somewhere. I worked in editorial production for the first couple years at the Daily Illini, which was probably a strategic mistake since all the real glory was in the newsroom with the reporters and editors. I remember my sophomore year how Ebert visited the Daily Illini and took the newsroom editors to dinner. I unfortunately was not part of that group yet, so I didn’t even see him. I just heard about it later from my newsroom editor friends. I chalked it up to missed opportunities. I eventually did meet Ebert in 1999, during a panel discussion at his inaugural Ebertfest in Champaign-Urbana (which at the time was called Roger Ebert’s Overlooked Film Festival). I asked a question during the panel, and when it ended, I loomed after long enough to walk out with him and chat for a quick minute. I told him I was a big fan of his work and how he influenced me as a writer, and I got a quick photo with him. He was gracious and humble about it. I’m sure he got that sort of thing constantly from fans, but he didn’t make it seem like a burden. Through the years, Ebert would always be there with new reviews, every week, without fail, all available on the Chicago Sun-Times website and later the invaluable RogerEbert.com. I’ve probably read close to 90 percent of what he’s written the past 17 years. His reviews have been a cornerstone of my reading habits for so long that I can’t imagine now what it will be like not to have those weekly insights about the movies. Even when I stopped regularly going to movies, I could keep up through his reviews. Ebert’s health problems over the past decade are well documented, in news stories as well as his own blog entries. What I’d like to talk about instead is his engagement in social media in recent years, after he could no longer speak in person and took even more greatly to the Internet (which he never avoided, even in its early days) and became even more actively engaged with his audience. Ebert welcomed technology in a way not all old-school journalists did. His blog was terrific, covering topics ranging from politics to the very personal. His use of Facebook and Twitter are nothing short of the very model of what users of those networks can and should, in my opinion, strive for. He produced 21st-century content for a general audience delivered perfectly appropriately via the platforms for which they were designed. All of this was apart from his regular writing duties. 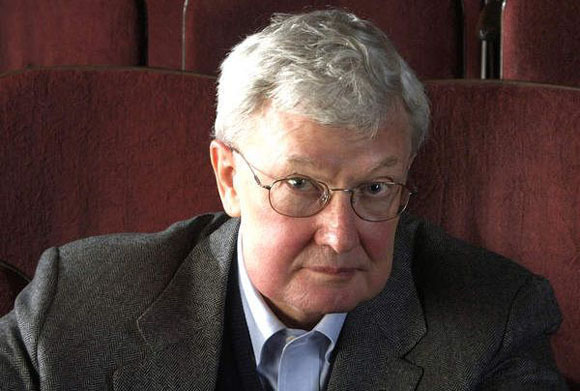 Just two days ago, Ebert posted a blog entry titled “A Leave of Presence,” in which he announced that his cancer had returned (though he buried the lead and instead took a more optimistic tack) and that he would have to cut back on his reviewing duties. But that post also mentioned several new projects in the works, including his new Ebert Digital organization, as well as a relaunch of RogerEbert.com, scheduled for April 9. He mentioned that the site would, moving forward, include several writers, and in a way, it almost seemed as if he was handing over the keys to the castle for the eventuality that he would no longer be manning it (which had already largely been the case for the past few months since his hip injury). But he also said he was not going away, just stepping back. I was looking forward to seeing what these projects would bring, and perhaps they will still continue in one form or another even without Ebert at the helm. But it’s really hard to fathom that just two days after that announcement, Roger Ebert is now gone. Death has a viciously cruel way of instantly rendering all things that were pending as instead irrevocably moot. Ebert’s passing is a huge loss for readers and critics everywhere, and the void will be keenly felt. But others will follow in his footsteps. Perhaps Ebert’s greatest legacy, in addition to the collective body of his work as a film critic for 46 years, an author, and a blogger, is that he pioneered a mainstream form of thoughtful, knowledgeable, but widely accessible criticism (along with Gene Siskel) that has in turn given rise to the current era of online criticism that thrives today more than ever. To film criticism, Ebert brought the great assets of his knowledge, wisdom, wit, humanity, and work ethic. How he did it is what critics everywhere — even amateurs like me who only write about one niche corner of the universe and only do it part-time — saw as the way it should be done. I got an email once from a reader some years back, who generously told me I was like “the Roger Ebert of Star Trek reviews.” I would never presume to claim such a lofty label. But I will say that I can think of no higher compliment to have been paid. Reading your reviews I can see some Ebert in them. I grew up watching him and Siskel trade barbs back and forth about some movie they were divided on. It was a joy to watch him work. I absolutely adored Ebert’s writing. He made you feel like he was in the room, keenly taking notes over your shoulder. Through his unique style of punctual grace with words, he has subtly influenced my thought process as much as anyone. He is THE monolith of his field – and as to the last paragraph, I’ll second that. I’ve been reading these reviews for over 12 years now, I’ve grown with them just as much, and the comparison is utterly warranted. It was not until today that I realized that a single book on our bookshelf was so influential in your life. With all of the negative influences available, is good to know that you picked a positive one. As a parent, you just don’t know what word, action, picture, or book will influence your child. You can only do your best to surround your children with the good things, positive things that will lead to positive outcomes. I’ve known for some that Roger Ebert influenced to you in a way I could not. For me writing is a struggle. Expressing yourself through the written word appears to be a pleasure for you and Roger Ebert. One has only to look at the time of this post to see how important it is for you to express yourself in this way. I know that you will miss his work and miss the man. His impact and legacy is that he lit a fire in you and others that burns brightly today, and in the future. I visited Roger’s website as regularly as I could for as long as I can remember. I found such terrific joy in his reviews of great films and acid wit in his reviews of negative films. I too feel like Roger has influenced my writing, though not on the scale of yours, of course. When I heard about the news, after working through the shock and reading his website and pondering what it meant to me, I thought of you — because I really do see you as an heir to Ebert within the narrower but no less difficult “Star Trek [&BSG] reviews” category. Thank you for writing this piece. I was a fan of Ebert’s criticism as a child; I too had an edition of “Movie Home Companion” and loved his deconstructions of movies, especially bad ones. Two of my favorites were his well-deserved decimations of “Heaven’s Gate” and the slashed theatrical cut of “Once Upon a Time in America”. Unfortunately, in his last years of life Ebert became a bitter and angry man. His critical insight dulled, and his wit descended into frequent, often very ugly cheap shots directed at anyone and everyone that aroused his ire (as when he infamously mocked the death of Ryan Dunn before the body was cold). The anticipation of another great Ebert review gradually went away and was supplanted by morbid curiosity about what kind of bilious Tweet the man might spit out next. Obviously, Ebert maintained a subsection of fans who enjoyed this sort of thing, but it was still as sad to see his intellectual abilities devolve as it was to watch cancer wreck his body. Some people learn what’s important in life when faced with their own mortality; some do not have this strength, and instead choose to turn inward and become hateful human beings. Roger Ebert’s story is all the more tragic because of this. I hope he is at peace now. I frequently disagreed with him, be it on the quality of a movie or a political issue, but I respected him more than most people I would agree with all the time for his passion and fearlessness. Siskel and Ebert was before my time but I got into movies beyond kid movies watching Ebert and Roeper and was always impressed and entertained. And like me, he saw nothing on the other side of death. It’s a reason to fear it and also a reason not to. He faced it admirably. RIP. Roger’s blog was a regular stop for me. I’ll miss his posts there in addition to his reviews. I have no idea what Brundledan is talking about, however. Ebert faced his mortality/situation with admirable grace and strength — I don’t know how many people could lose a large portion of their face and voice, yet continue on the way he did. Bitter? Angry? Dulled insight? I never saw any of this from him. One tweet about Dunn makes you see Ebert in that way? Quite a stretch. I suppose one could argue that Ebert’s tweet was too soon, but it turned out he was right…Dunn, and the passenger in his car, died because of his own recklessness. Jackass indeed. If you want to see bitterness, Brundledan, check out how the few Dunn fans out there responded to the news of Ebert’s passing. As unbelievable as that might sound to people living in the US, I can guarantee you that in the place where I live, not one in ten people know Ebert’s name, and in fact I think the first mention of him I ever saw was on this very site (wherever it might have been hosted back in 1999), in Jammer’s farewell to Gene Siskel. Yet I got into the man’s writings somehow (I don’t even remember how; it was years after that Siskel obit, so that can’t have been it), and now here I am, with a nigh-complete collection of his writings, still not really comprehending that that’s all there will be. To paraphrase a favourite saying of his: there’s never too much to read by a good writer, and never too little by a bad writer. Jammer: You fall squarely into that first category. Your reviews evoke Ebert’s style of writing to me, and that’s never a bad thing. The compliment might have been a tad lofty, but I think it’s justified. If there is one central element that your writings have in common, it’s taking what you write about seriously, never condescending to either the medium or the reader. Nicely said, Jammer–I heard he had died while driving. I literally had to pull over so I could cry a little. Will you post the picture of the two of you? I’d love to see it. I am sure he didn’t mind one bit–he wrote often about how much he admired the “up-and-comers” and made a point of letting people know about talented new voices. I imagine Chaz will continue his planned projects. I wouldn’t agree with Brundledan about Ebert’s bile, but I also feel his critical senses weren’t quite the same after his illness and his reviews more and more were less perceptive – and less about the films than about the author himself. I stopped reading his new reviews on a regular basis a few years ago. Regardless of this, though, I would also count myself among those whose appreciation of film was influenced in many ways by Ebert’s writings. He combined a keen eye for cinema with a genuine love for the medium. This morning I read an obituary that put it very nicely: at the movies, when the lights go out the film starts. My wish for Ebert is that the film has only just started. Ebert’s reviews and blog posts were a daily read for many years. For a long time the only two sites I visited each day were Ebert’s and Jammer’s. I was saddened by his passing, but like with everything else, he faced it with dignity and honesty.